Commercial Property in India | Saviour Builders Pvt. Ltd.
With the idea of increasing additional FAR, the authorities have got an easy way to raise funds of Rs 5,000 crore for the 29 km-long Metro link project. The Authority had earlier in 2001 mulled over the idea of a public-private partnership (PPP) scheme for constructing the Metro line. 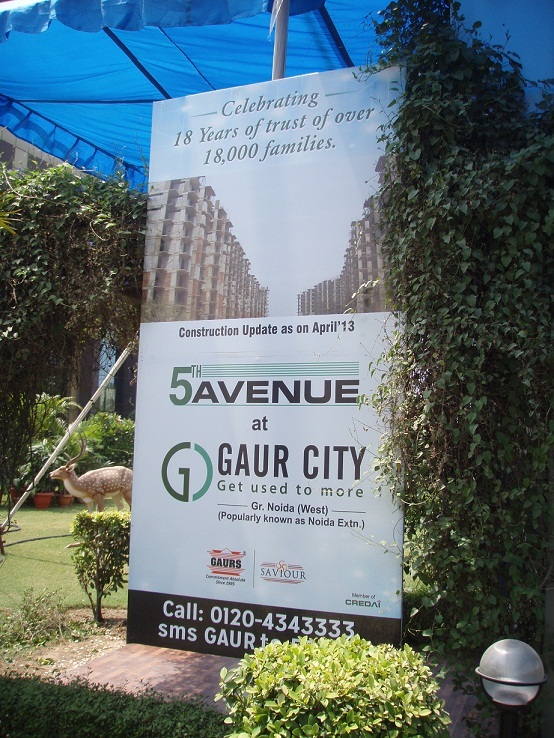 Realty firm Gaursons today said it has bought 300 acre land on Yamuna Expressway in Greater Noida from Jaypee Group for over Rs 1,500 crore to develop an integrated township. Ghaziabad-based Company would launch the township by end of this year and plans to construct about 15,000 apartments in affordable segment. “We have purchased 300 acre land from Jaypee Group on Yamuna Expressway for more than Rs 1,500 crore. 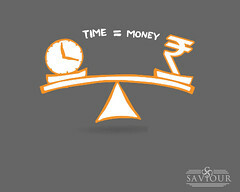 The agreement between the two companies has already been signed,” Gaursons India Managing Director Manoj Gaur told PTI. Jaypee Group has about 4,000 acre land alongside Yamuna Expressway, which was built by them only. 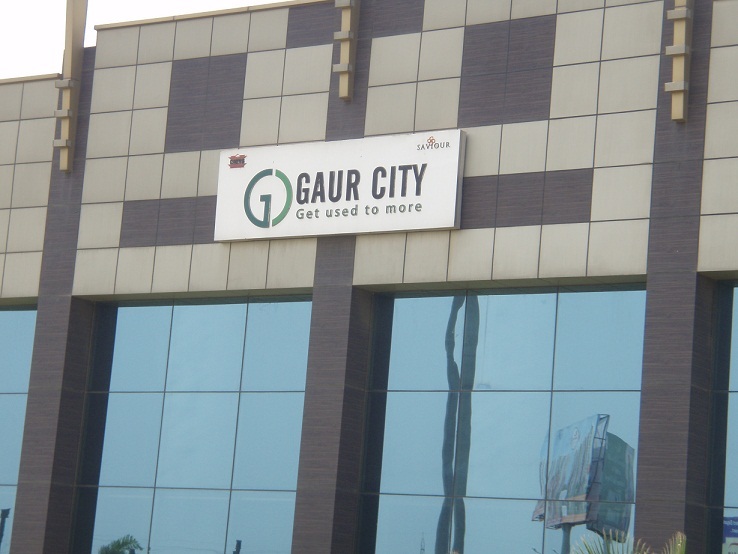 Gaur said the company has already paid about 25 per cent of the total amount of the deal. Asked about the source of the funding, he said it is through bank loans and internal accruals. “We will launch the township in six months. the project will have about 15,000 flats, plots, school, hospitals and other infrastructure facilities,” Gaur said, adding that the flats would be in the range of Rs 25-40 lakh. 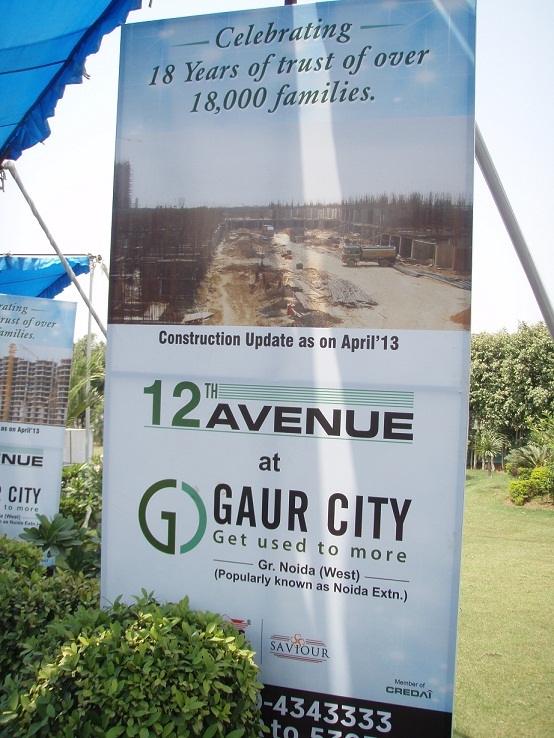 The township would be in the vicinity of Jaypee group’s F1 Track, Gaur said. He also noted that land is clear as Jaypee Group has taken it from the authority. 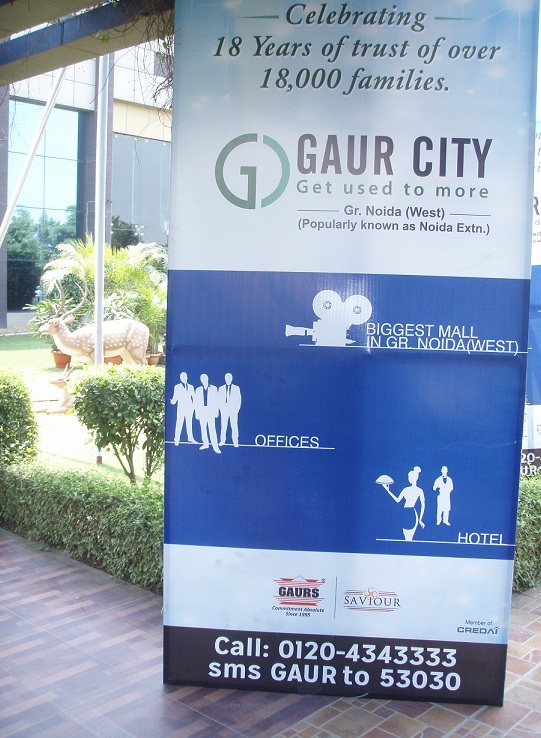 Gaursons has big presence in the Ghaziabad, Noida and Greater Noida region. 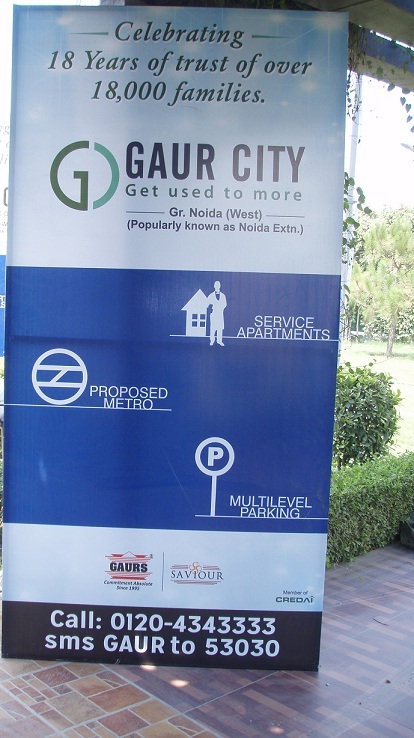 It is currently developing a 240-acre township ‘Gaur City’ in Noida Extension in partnership with another realty firm Saviour – Real Estate Developers & Builders In Delhi NCR. About 25,000 housing units are being developed in this township at an investment of about Rs 5,000 crore. 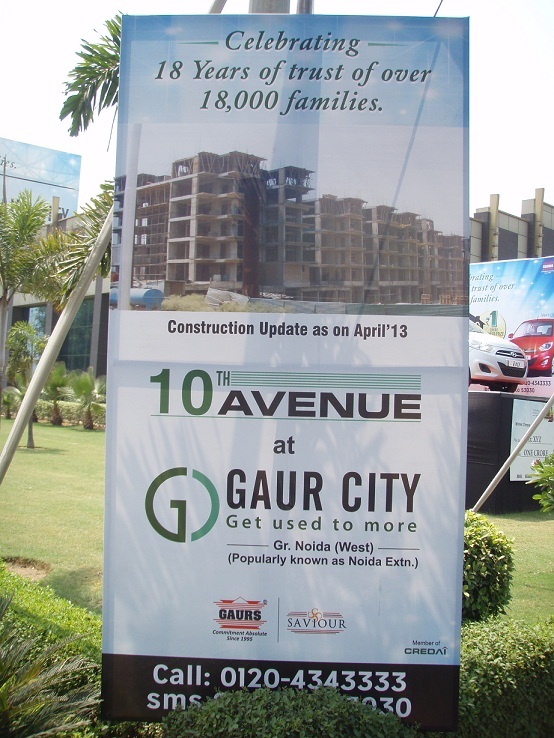 Gaursons is also part of township ‘Crossing Republik’ in Ghaziabad, being constructed jointly by seven developers. 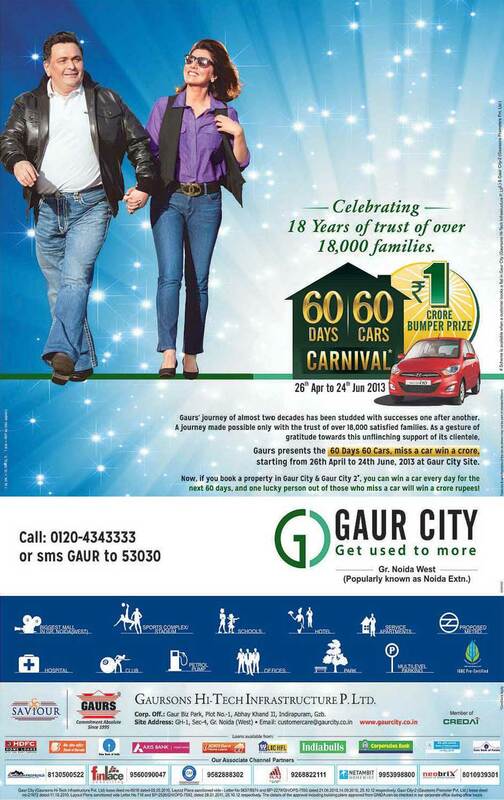 Gaurs presents “The 60 Days 60 Cars, Miss a Car Win a Crore Carnival” at Gaur City Site in Greater Noida West (Popularly known as Noida Extension). 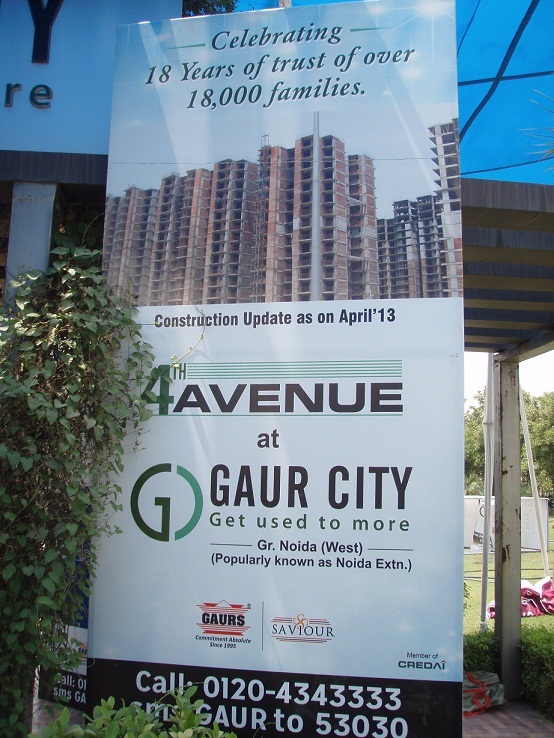 The carnival is running successfully from 26th April and will go on upto 24th June, 2013 at Guar City Site. 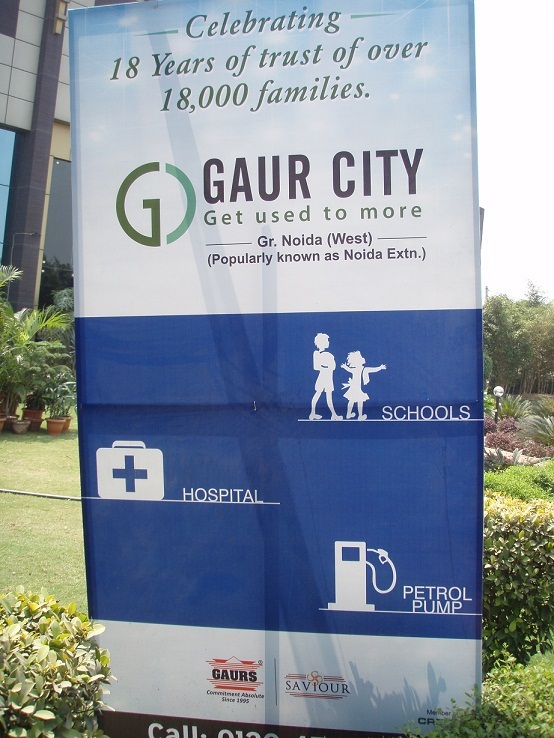 Book a property in Gaur City and Gaur City 2, and get a chance to win a car everyday for next 60 days and one lucky person out of those who miss a car will win a crore rupees..!! It is still an opportune time for end users to buy property in the new developing sectors along NH-8, Dwarka-Gurgaon Expressway, Golf Course Extension Road, and main Gurgaon-Sohna Road. 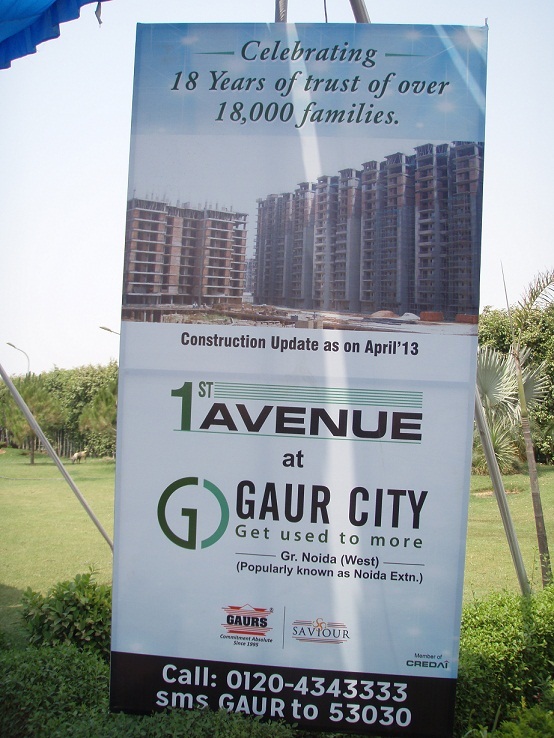 Arecent survey says that sentiment in Gurgaon’s realty market has been reasonably positive. With improving infrastructure, fast connectivity, and new world-class projects, rental and capital values have been indicating healthy growth in the new developing sectors along NH-8, Dwarka-Gurgaon Expressway, Golf Course Extension Road, and main Gurgaon-Sohna Road. Impact of new master plan: By implementing the new Gurgaon-Manesar Master Plan, 2031, and Sohna Road, 2031, the Haryana state government has set in motion multiple development activities in the new developing sectors like 86, 90, and 91. Land has already been allocated for five hospitals and three colleges in the area while new commercial areas are to be developed in the form of retail malls and office complexes. Road links like the 150mwide Northern Peripheral Road (NPR) and the 90m-wide Southern Peripheral Road (SPR) will bring these areas within sniffing distance of the IGI Airport and ease the traffic congestion considerably. Land for all sector roads in Sectors 81 to 95 have been acquired and developing agencies like Huda have already begun construction of these roads, which are 60-75 metres wide with 12-metre-wide service roads on both sides. The MRTS corridor along the NPR link to Delhi, starting from Dwarka, will be extended further up to the 400 acre-Inter State Bus Terminal set to come up near Kherki Dhaula. Flyovers have been planned on all major intersections. The town and country planning department of Haryana has already started work on a number of proposed flyovers and underpasses on all major road intersections. 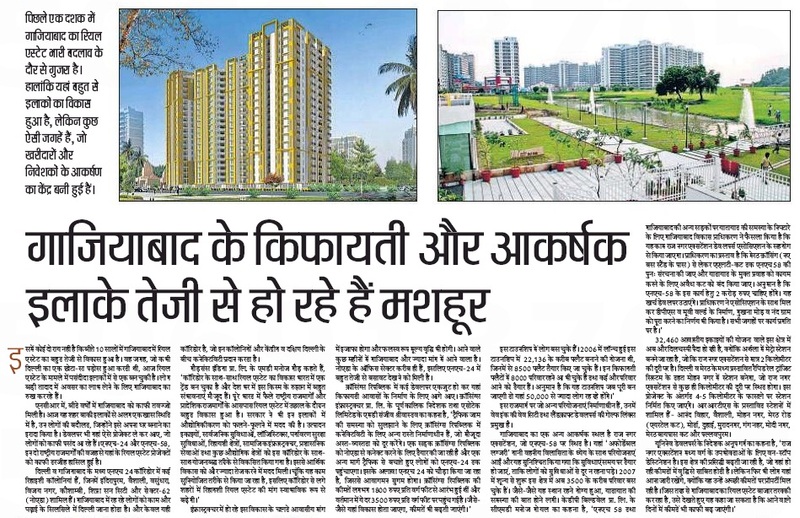 Real estate development: Owing to good connectivity and availability of social amenities and work space in the city, many people prefer to invest in residential realty of Gurgaon. Analysts say that real estate development in Gurgaon is flourishing as investments have given higher returns to most property buyers. Gurgaon has undergone a lot of infrastructural upgrade in the past couple of years and this has boosted its prospects among other investment destinations in the NCR. Several realty projects have come up all over Gurgaon, but sectors like 22, 52, 57, 79, 80, 82, 84, 89, 92, 99, 103, 106, 112, etc, have seen the maximum activity in housing projects. Realty players like DLF, Unitech, Adani, Godrej Properties, Tata Housing, Chintels, Raheja Developers, Ansal API, Ansal Housing, MGF EMAAR, M3M,Paras Buildtech, Orris Infrastructure, Amrapali, Supertech, Antriksh, Homestead, CHD Developers, Gold Souk, Ramprastha, Assotech Ltd, etc, are coming with residential and commercial projects in different pockets of Gurgaon. 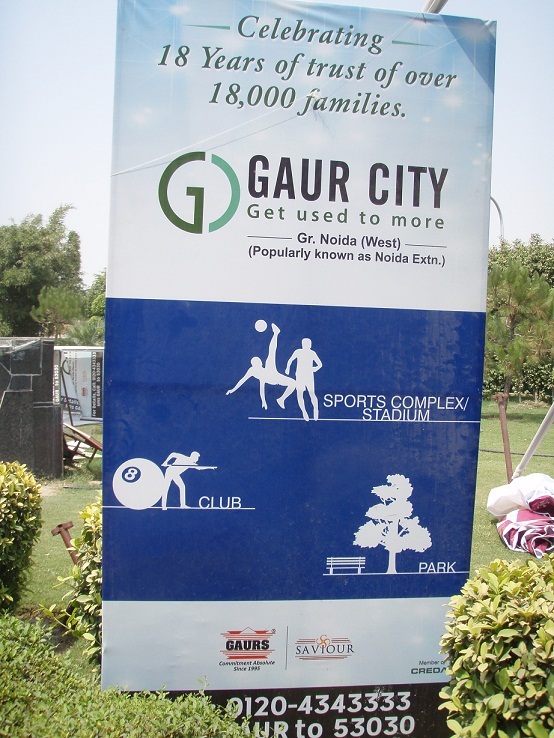 Realty giant DLF has plans to develop a new zone, Garden City, over 450 acres in Sectors 86, 87, 90, 91, and 92. This zone will comprise group housing, commercial, and plotted development; this zone is nestled in 1,000 acres open spaces. Garden City comprises projects like Primus, Regal Gardens, New Town Heights, and plotted development; it will also have a commercial complex, Galleria 91. Galleria will house multiplexes and anchor stores. Garden City is close to Sectors 74A and 75A, the new commercial hub in Gurgaon. The area is a strategically located as it is close to the Metro corridor and the IGI Airport. DLF has licensed group housing colonies over 100 acres in Sectors 86, 90, and 91 while 3,200 apartments are under construction in Garden City. DLF also has projects in Sectors 86, 90, and 91 over 80 acres. After the early success and recognition of Gurgaon One, Alpha G:Corp is set for another residential development over 12.5 acres in Sector 84, which will have 670 apartments. Gurgaon One in Sector 84 is coming up at a cost of Rs 400 crore and is adjacent to the 210-metre-wide forthcoming expressway that will connect to Dwarka and IGI Airport. The project is around 2.5km from the Metro hub and the Inter State Bus Terminal. R S ‘Pickles’ Sodhi, the MD of Alpha G:Corp, says: “Gurgaon One in Sector 84 will comprise seven independent towers, each over twenty floors; these will have combinations of two, three and four bedroom apartments. Gurgaon One has been designed by Arcop; the new project will have features like zonal greens, three-sided open apartments, sustainable energy and water conservation, all-encompassing waste management, a recreational club with social and health facilities, safe pedestrian walkways, facilities for physically challenged, a helipad for emergency landings, and professional facility management to provide a strong sense of security and hygiene to residents, a spokesman of the firm said. Encouraged by its launch of one of the tallest mixed land-use realty projects, Supernova, in Sector 94, in concert with the world famous Armani Group for interior designing, Supertech Ltd has recently allocated 100 acres of land for an integrated township. The forthcoming integrated township will be an answer to high-end multi-luxury residential housing; this is located in Gurgaon’s Aravali range in Sector 79. Supertech has already started construction on its realty project Supertech Araville in Sector 79, which offers 2- and 3BHK residential apartments facing a dedicated 10 acers of lush green area. New developing areas like Sector 80-93 in Gurgaon are an ideal showcase of the development in the region as lots of construction work is taking place here and these are turning into residential and commercial hubs. These sectors also attract special attention as they are connected to major industrial zones of Manesar that house leading industrial units like Honda, Maruti, Minda, etc. Orris Infrastructure, with more than 1,400 acres of land bank in prime developing sectors, has residential projects like Carnation Residency, Aster Court and Aster Court Premier at Sector 85 and commercial projects like Orris Business Square located in Sector 82A and Floreal Towers in Sector 83. Ashish Gupta, the managing director of Gold Souk, says: “Our forthcoming projects are located on the proposed 150 metre Gurgaon Extension Road and on the two sides of the 60 metre roads of Sectors 17 and 25.” Advance India Projects Ltd (AIPL) has launched a multistorey premium residential project, Peaceful Homes, in the Delhi NCR market. Spread over 18 acres, Peaceful Homes, is a multi storey premium residential project in Sector 70 A; it offers 2-, 3- and 4BHK premium apartments and penthouses of 1,565-2,925 sq ft.
Sanjay Sachdeva, the executive director of AIPL, says: “Peaceful Homes is well connected to NH-8 and Golf Course Extension Road. The close proximity to the residential, commercial and retail on the Southern Periphery Road add to the value of the project. We have taken the quality standards to new heights over the past 20 years. We believe owning a place which one can call home shouldn’t be a matter of strife. Neither should living in it be a cause for stress”. After the approval of New Master Plan for Sohna 2031, Gold Souk is coming up with its new project, Gold Souk Golf Links, a premium highrise project in the sizes of 1,250 sq ft-2350 sq ft at Rs 5,000 per sq ft. The group has over 200 acres of land banks under the Sohna Master plan and plans to launch residential plots, villas, highrise apartments, shops, serviced studio apartments, offices and 5-star hotels. Good returns in new sectors: There are also major developments going on in sectors like Sectors 52, 53, 55, and 57, just near Golf Course Road and Sohna Road. In two-three years, investor can reap good returns from these regions. The area is well located and fully inhabited and is in close vicinity of malls, schools, hospitals and the Metro station. 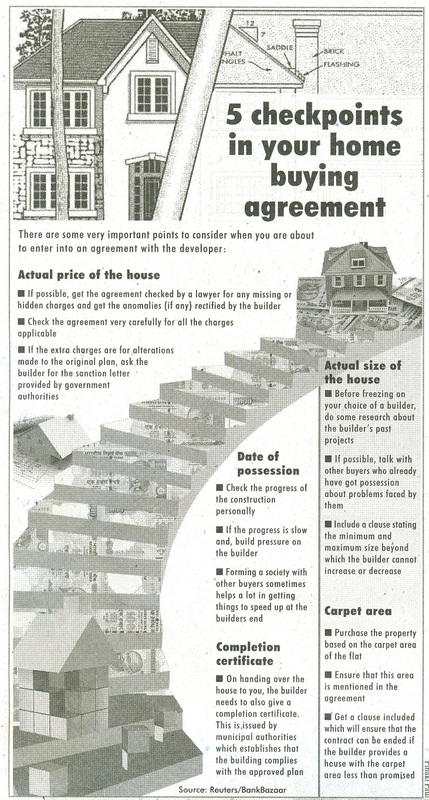 A number of independent houses and apartments are already there in these sector. Some of the well-known societies in this area are Ansal API’s Sushant Lok 2, 3, BPTP Freedom Park Life, AEZ Aloha Apartment, M2K’s White House Apartments, Tulip Garden Apartments and Clarion ‘s The Legend 2BHK and 3BHK luxurious apartments with all modern amenities.